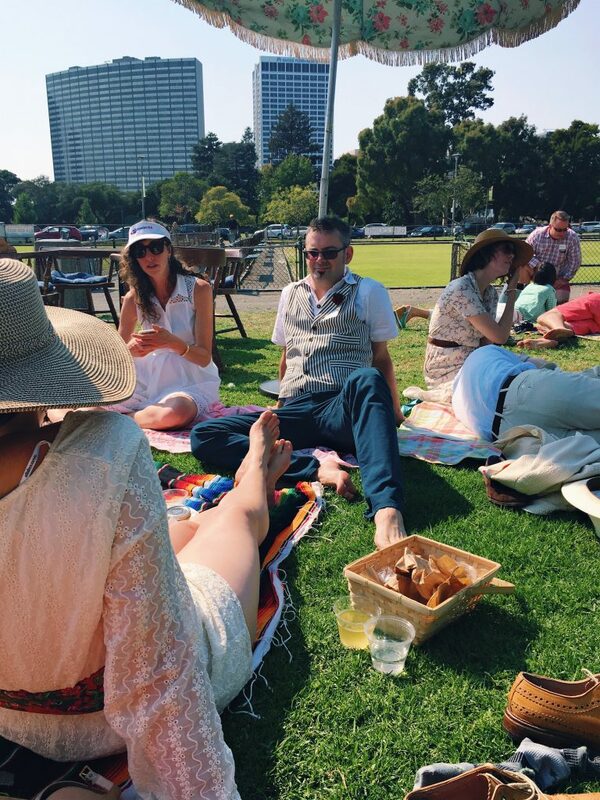 However, as much as I fell in love with lawn bowling, I was head over heels for the food and drinks. Who says no to open bars at 12pm on a Saturday?? 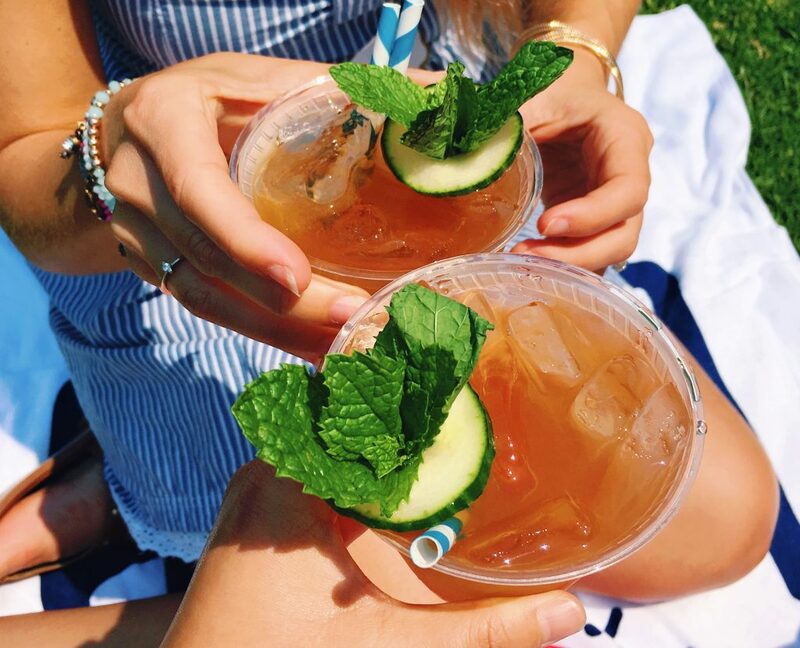 We started off our Saturday with a few Pimm’s cups. 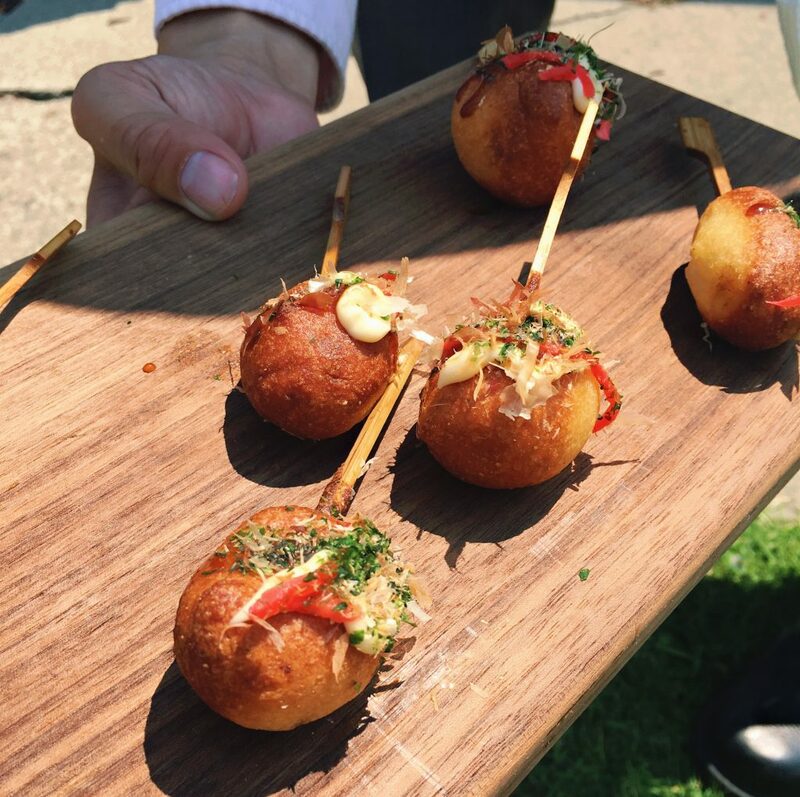 Octopus Corn Dogs: miniature corn dogs stuffed with octopus and topped with kewpie mayonnaise, nori, ginger, and katsuobushi. 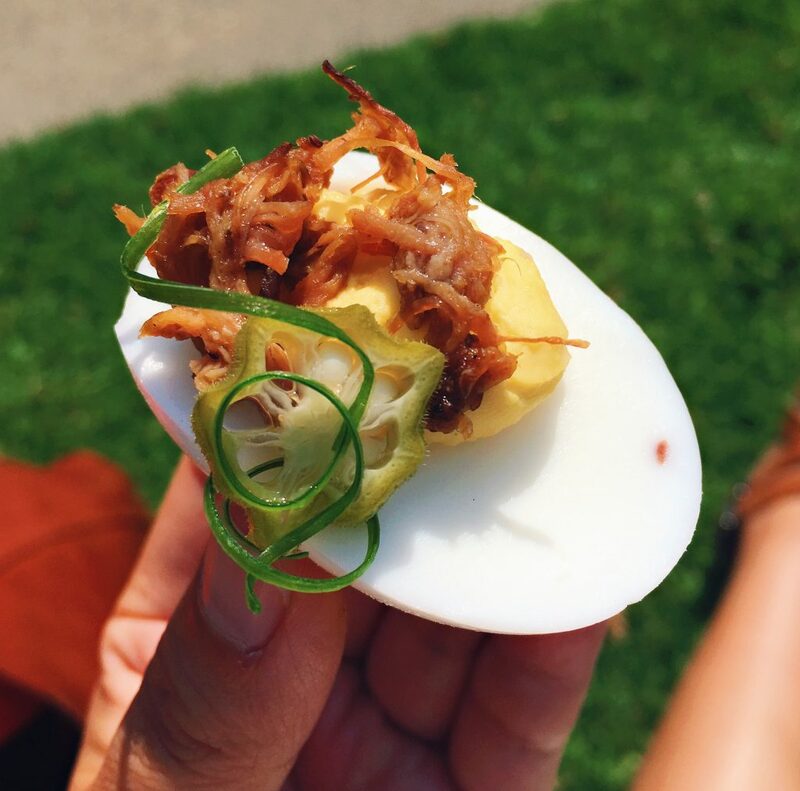 “White Castle” Bao AKA cheeseburger in a bao. 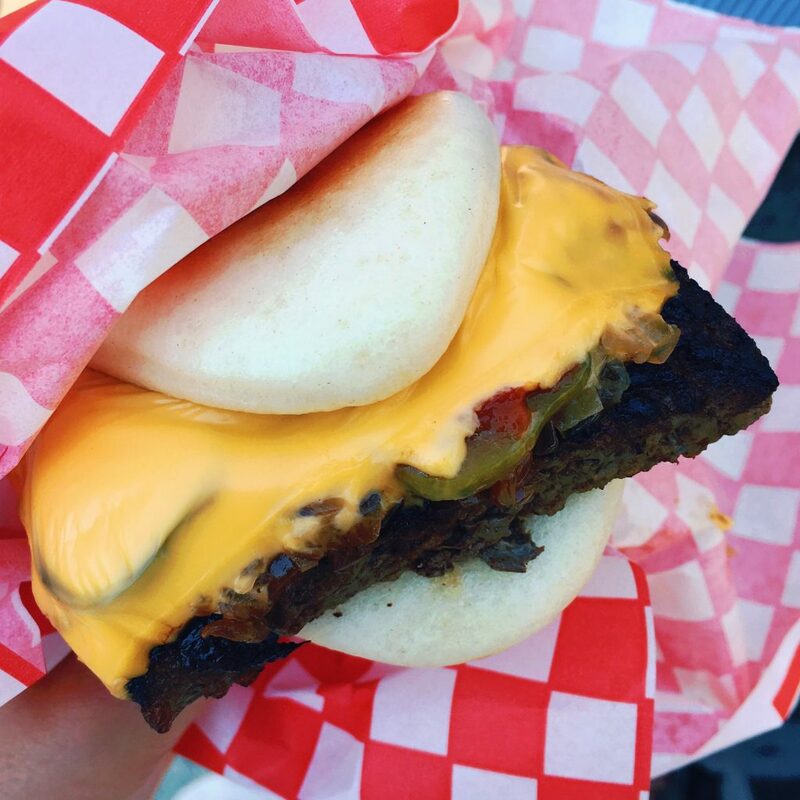 Cheeseburger, pickles, grilled onions, and ketchup inside of a soft and warm bao. I could cuddle with these baos. 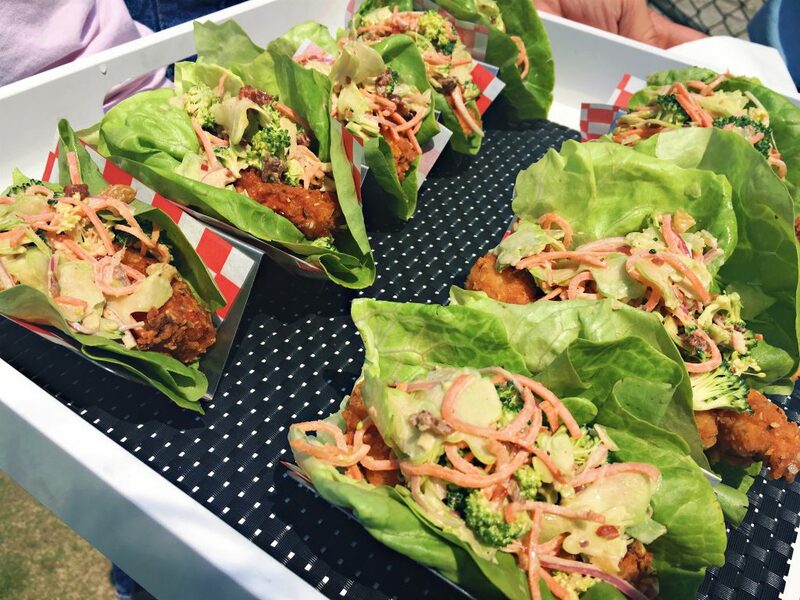 Cold Fried Chicken: fried chicken in a lettuce wrap, topped with a broccoli slaw and bacon mayo. 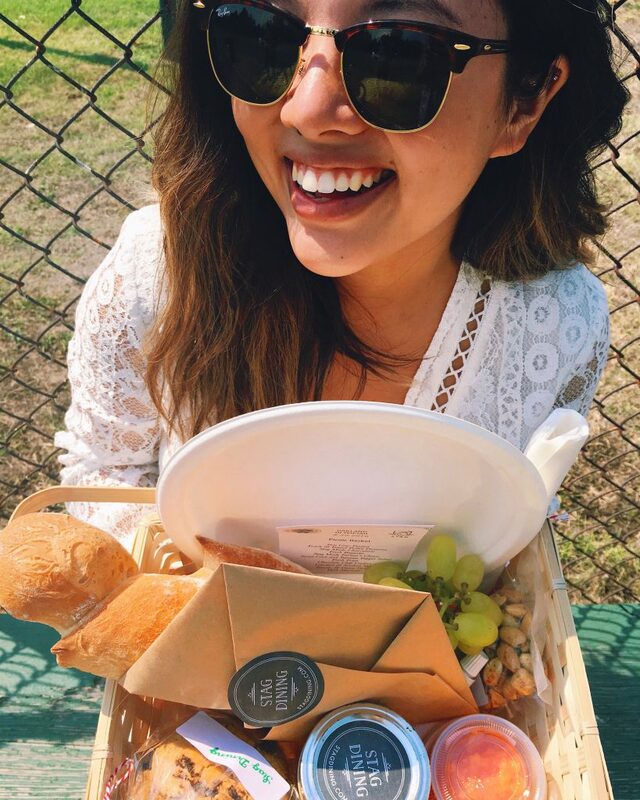 I convinced myself that this was basically like I was eating a salad and had 2.. Or 3. 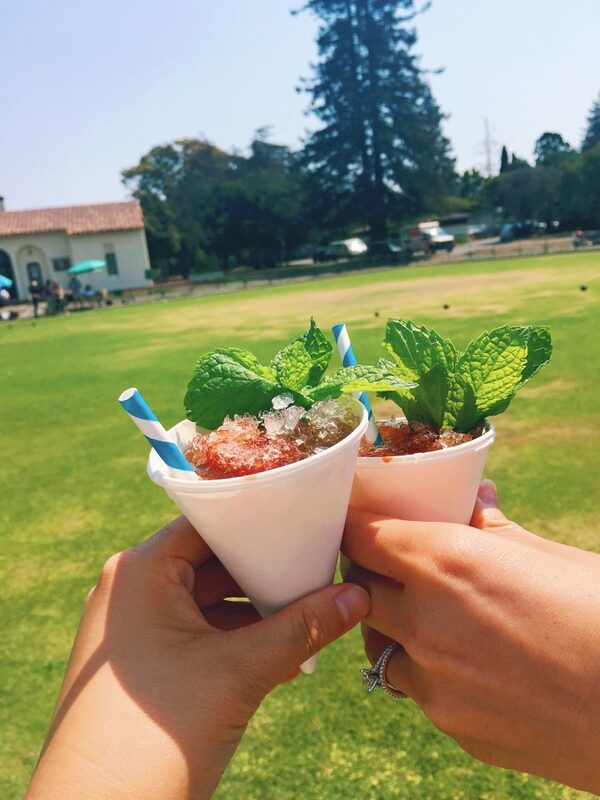 In between games of lawn bowling, we were also brought Peach Mint Julip Snow Cones made of bourbon, peach, and mint. They weren’t shy with the bourbon, and I’m pretty sure I started playing better after I had a snow cone. 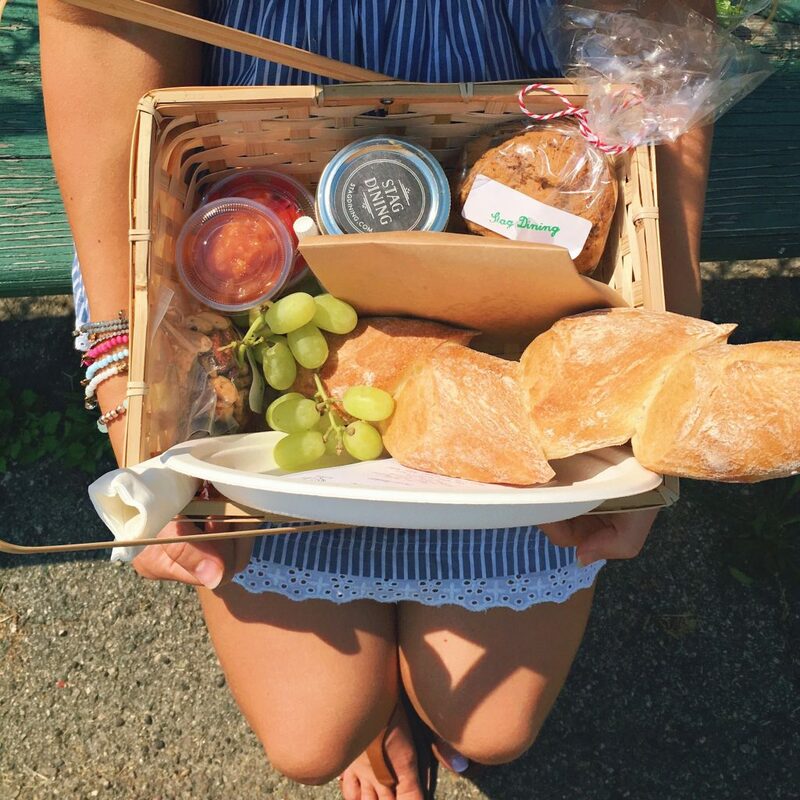 After the games concluded (in case you weren’t sure, my team won), we each received a picnic basket filled with yummy goodies like charcuterie, baguette, foie gras, corn salad, chocolate chip cookies, and fruit. 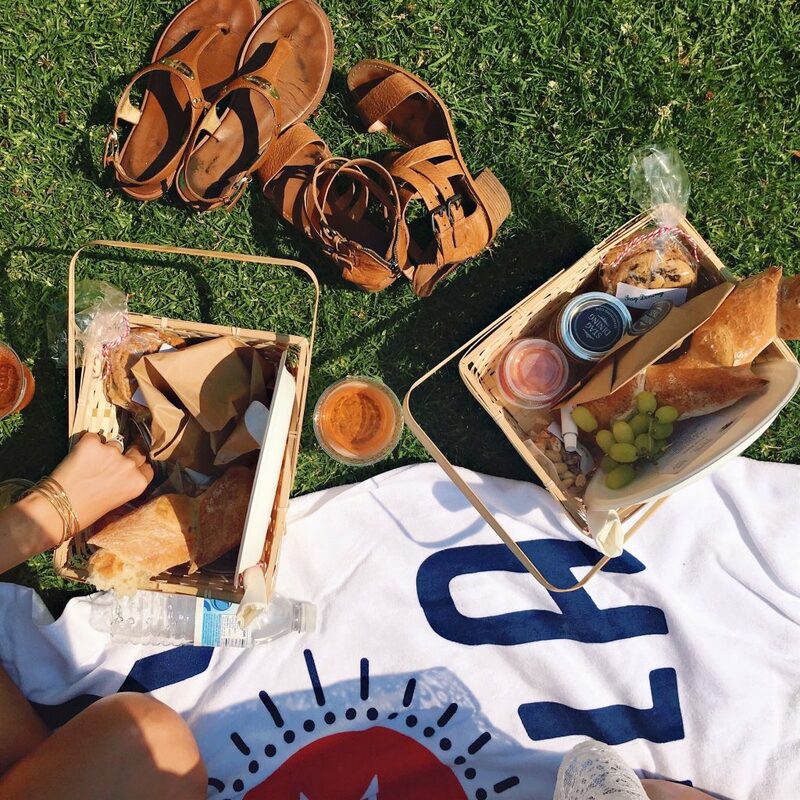 We grabbed some rosé and had ourselves a picnic!